With the current land shortage in and around the GTA, it’s rare to find a new homes community of large executive homes on one-acre lots. 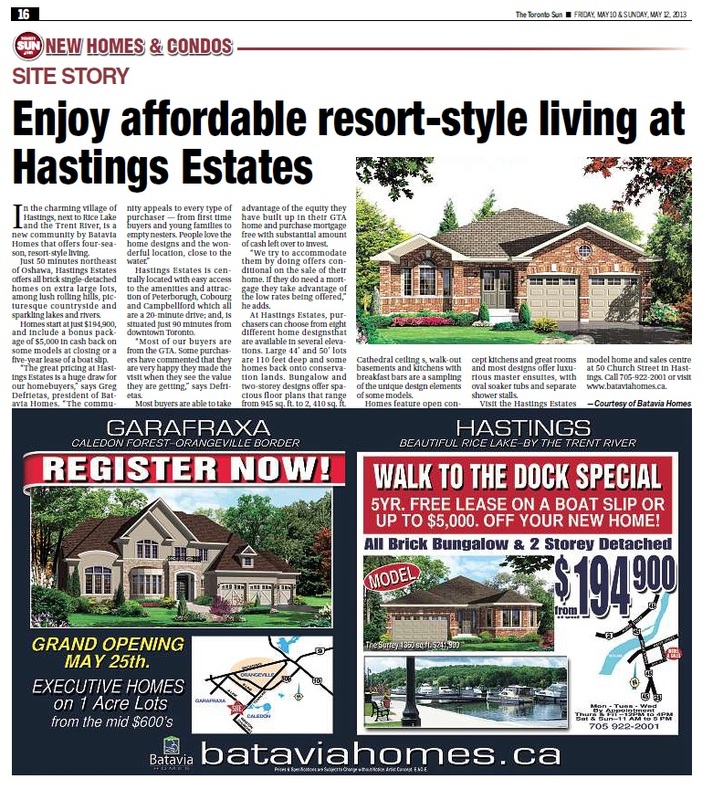 That’s why homebuyers won’t want to miss the grand opening of Nature’s Landing, an exclusive neighbourhood of only 15 luxury homes by renowned builder, Batavia Homes. Beginning Saturday May 25th, at 11 a.m., the public is invited to visit the sales centre and see, firsthand, the innovative home designs, highend finishes and bucolic location of this one-of-a-kind community. Nestled amongst picturesque countryside and protected greenspace, Nature’s Landing is situated on the border of Orangeville and Caledon, with easy access to the amenities of both communities. The private enclave backs onto the Credit Valley and Caledon Lake Forest Conservation areas, so homebuyers know that there will be no future development in the area. In fact, nine of the 15 lots back onto this greenspace, providing homeowners with backyards that offer privacy and views of the lush surroundings. 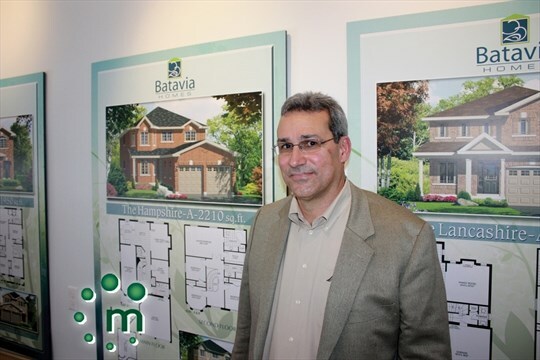 “With the province mandating smaller lots, Nature’s Landing is the last of this kind of estate development,” says Batavia Homes president, Greg DeFreitas. “Many of our standard features would be considered upgrades in other new developments. For example, our garage doors are a foot taller and wider than standard garage doors, and exterior doors on the main level are eight feet. We offer garden doors, rather than sliding doors and all homes come with covered decks. 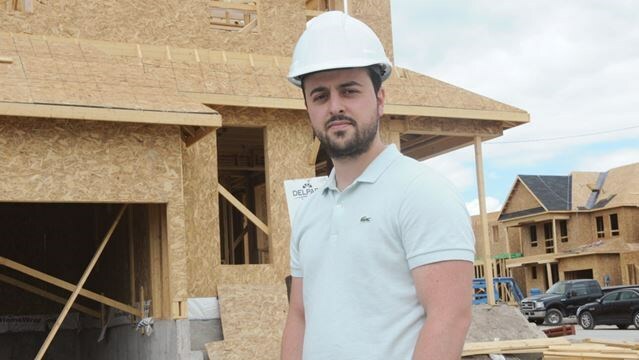 We’re building something very special, here, in a location that is second to none.” At Nature’s Landing, purchasers can choose from a terrific selection of bungalow, bungalow with loft and twostorey home designs. Homes range in size from 2,200 sq. ft. to 4,015 sq. ft. , with prices starting from $674,900. 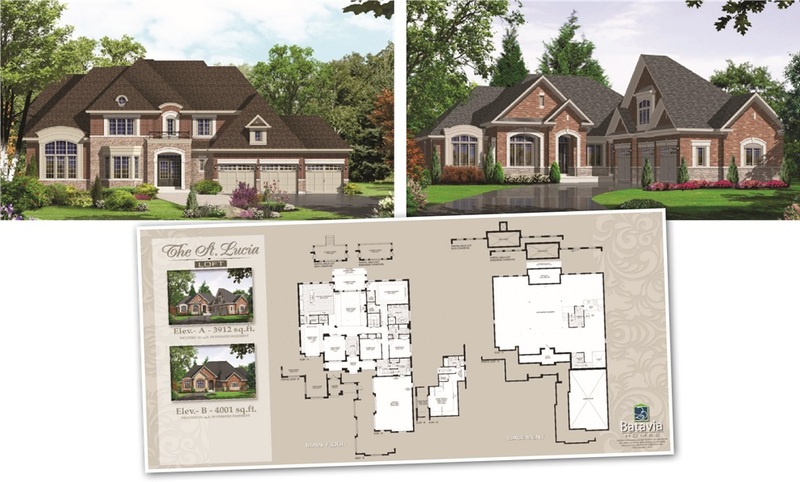 Beautifully crafted homes feature brick, stone and stucco exteriors, decorative windows and architectural detailing. Welcoming front entrances have double door entries and all models come with three-car garages. 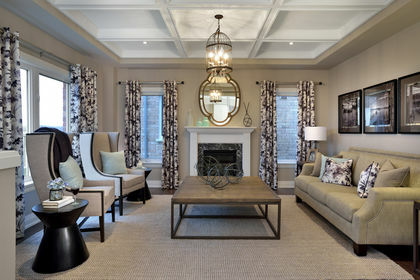 Interiors are elegant and comfortable, with large principle rooms and open-concept spaces. Luxurious extras include nine ft. main floor ceilings, entrances from the garage to the house, gas fireplace, upgraded baseboards and trim and granite kitchen counter tops with an undermount sink. There are smooth ceilings throughout and designer ceramics in wet rooms. Lower levels have a three-piece bathroom roughin, as well as a cold cellar. A generous bonus package provides purchasers with even more value. In addition to the standard appointments, all homes come with stained oak staircases, as well as stained oak hardwood flooring in the family/living rooms and main floor hallway. Front foyers feature 18-inch x 18-inch ceramic floor tiles and kitchens have upgraded cabinetry with extended uppers, valance lighting and crown moulding. Kitchens also come with stainless steel fridge, stove and dishwasher and there is a white washer / dryer for the laundry room. Six months of free cable TV, internet and home phone is included in the bonus package. The St. Lucia bungalow and loft design is a grand 3,912 sq. ft. home. The gourmet kitchen has a centre island, servery, walk-in pantry and garden door that leads to the covered rear deck. Highlights include a master bedroom, with his and hers walk-in closets and luxurious ensuite, complete with a freestanding bathtub, double sinks and a separate shower stall. The loft area features a guest room/home office, walk-in closet and four-piece bathroom. Just 20 minutes from Brampton, Nature’s Landing is conveniently located close to this urban centre, as well as surrounding communities. The boutique shops, restaurants, art stores, galleries and specialty shops of Orangeville are just five minutes away. Residents are also close to the amenities of Caledon and have easy access to the local Farmer’s Market, community events and exciting attractions of the area. Visit the Nature’s Landing sales centre at 685 Riddell Road, Orangeville. For more information, visit www.bataviahomes.com.